Cairo is the capital of Egypt, one of the largest cities in Africa and is known for the Great Pyramids of Giza which lie just outside. Cairo tours include ways to see the best of Ancient Egyptian history, modern parts of the city and surrounding areas to enjoy. Many of the best Cairo tours have an element of Ancient Egypt involved with them and the city is the perfect place to see many of the most iconic sights. This tour includes two of the most iconic sights from Ancient Egypt – the Giza Pyramids and the Tomb of Tutankhamun in the Egyptian Museum. This day-long tour includes the Egyptian Museum with its 120,000 exhibits including from the times of the Pharaohs and later Greco-Roman times. 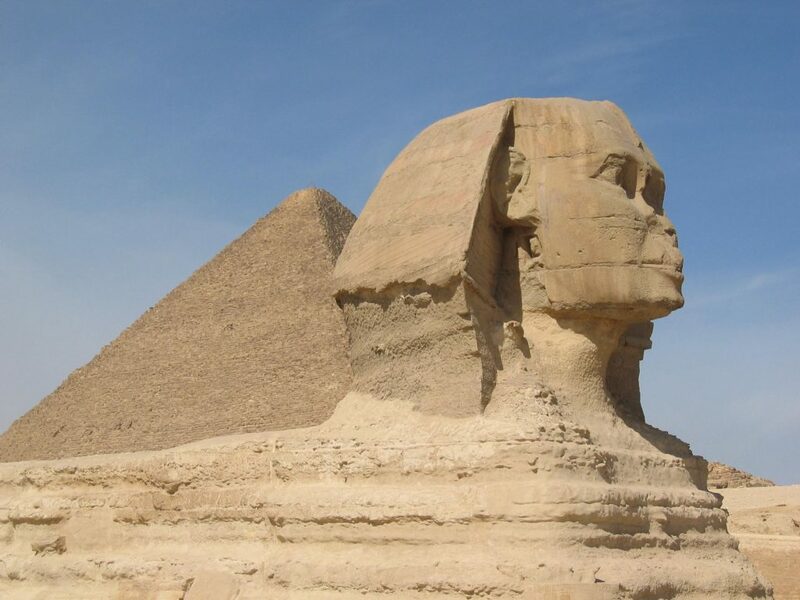 It then moves on to the Great Pyramids and the Great Sphinx at Giza, the oldest of the 7 Wonders of the Ancient World. Learn about the people for who the pyramids were constructed and see the Sphinx, standing guard over them. Finally, the tour finishes with a visit to the Khan El Khalili bazaar for some shopping. The Pyramids of Giza are impressive during the daylight but there’s something spectacular about seeing them at night. This tour involves seeing the Sound and Light Show at the Giza Plateau from an air-conditioned van. There’s a commentary accompanying that tells you all about the Pharaohs, life in Ancient Egypt and the Sphinx. It ends with a meal in a local restaurant before returning you to your hotel. If you want to see some of the most iconic buildings from the Ancient Egyptian period, this tour is ideal. It starts from your Cairo base and includes a drive south to see the Bent and Red Pyramids in Dashur. It also includes the royal necropolis and the Step Pyramid of Zoser, the oldest colossal stone building in Egypt. After lunch at a local restaurant, you then get to see the Giza Pyramids and the Great Sphinx. Visit the Valley Temple, the funerary complex for the Pyramids of Chephren before returning to your hotel. 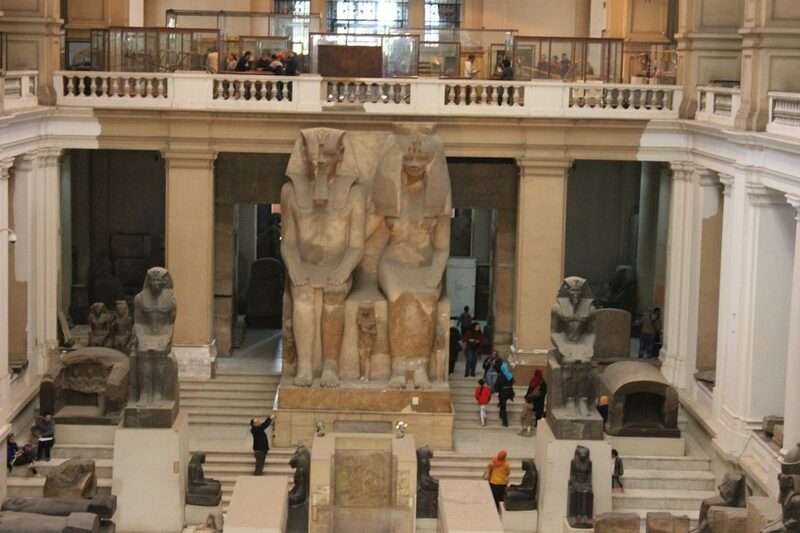 If your visit to Cairo is brief, then one of the things you don’t want to miss is the Egyptian Museum. It is home to the famous Tomb of Tutankhamun exhibit as well as thousands of other artefacts and historical items from the various periods of Egypt’s history. You also get to tour with an Egyptologist, an expert in the era to make the most of what you see. Seeing the best of Cairo is always done with a tour and these tours cover both the famous sights around the city but also more modern eras such as the Islamic history of the Egyptian capital. This tour is a great way to see the different periods of Cairo’s history. It includes the Cairo Citadel on the Moqattam Hills and check out the amazing views across the city. You can see the statue of Muhammad Ali Pasha in the Mosque of Muhammad Ali as well as the Hanging Church and the Ben Ezra Synagogue. Finally, visit the Khan el-Khalili Bazaar for some souvenir shopping. This is a six hour tour that combines the impressive Egyptian Museum and Cairo’s vibrant bazaar. The tour includes the highlights of the museum which spans thousands of years and includes the collection from the tomb of Tutankhamun, which has its own dedicated section. After lunch visits the Khan el-Khalili museum and pick up souvenirs. It is always good to have a change of pace while staying somewhere as epic as Egypt and this food tour is perfect for that. During the five hour tour, you get to visit off the beaten path spots that the locals love but that don’t feature in those guide books. Sample the best of Egyptian cuisine, learn about the history of the dishes and spot the real thing when you see it in restaurants. Cairo may be famous for its Ancient Egyptian past but there’s more to the city than pyramids. This five hour tour is perfect to see some of the other sites of the city, the hidden gems that tourists don’t always experience. It includes a walking tour around Old Cairo including the many streets and alleys. See the Old Market, the art galleries and sample local food. Cairo has so much to offer but there are also lots of places nearby that are ideal to visit when you are spending a vacation there. Here are a few examples. The desert is a huge part of the landscape of Egypt and a quad bike is one of the best ways to see it. This tour includes transfers to the Giza Pyramids and a tour around the site on the quad bike. This is a great way to get some amazing photos of the pyramids and the desert scenery around them. After the quad bike tour, visit the Valley Temple and get close to the Sphinx before returning to the hotel. This tour involves travelling from Cairo to Alexandria, with its ancient connections with Alexander the Great. See the Roman theatre at Kom El-Deka, the Catacombs of Kom el Shoqafa and the Roman triclinium, a banquet hall honouring the dead. Finally, see the site of the Alexandria Library and the spot where the great Lighthouse once stood. This two day tour begins at your hotel in Cairo and travels to Luxor where you can see the last resting places of a number of famous Pharaohs including Ramesses III. Visit the temple of Queen Hatshepsut and the Colossi of Memnon. Travel is on a seated train and includes overnight accommodation.